I have been waiting for Splash Poke to open for some time now, having seen their storefront on Jasper and 109 St with a "Coming Soon" sign for several months. 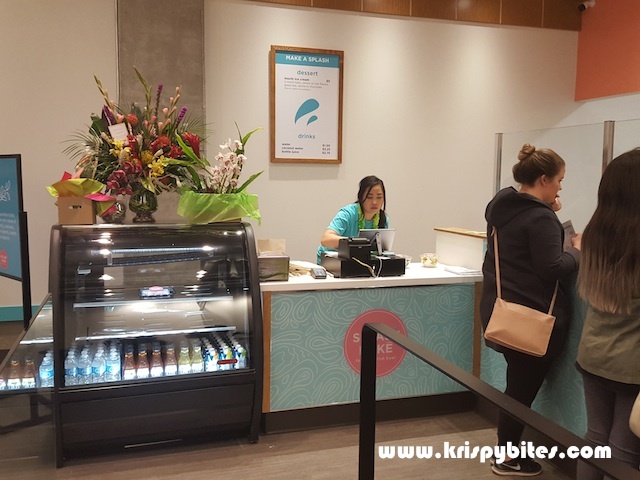 I didn't plan on attending their grand opening on Tuesday night, but somehow I found myself in a line that snaked around the corner of the block and lasted for 3 hours that night. 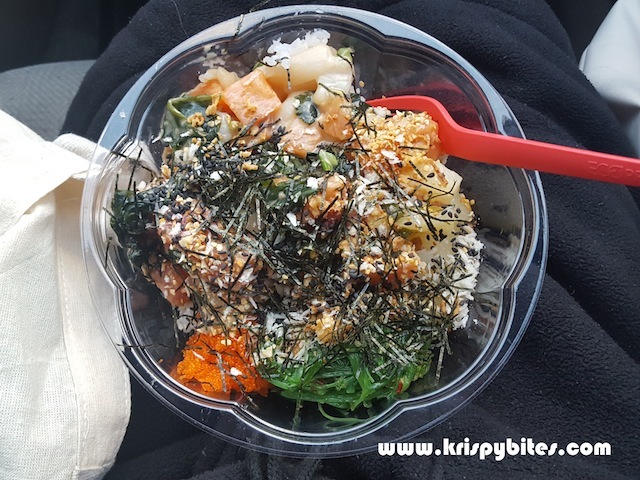 For those who don't know, a poke bowl is a rice bowl topped with raw fish chunks tossed with various toppings and sauces. It originated in Hawaii where poke means "to cut into pieces", and it's basically a chopped up and dressed up version of Japanese chirashi. First let's take a look at the menu. The concept of Splash Poke is very similar to Subway, where you can customize your order to your liking. To make it simple, pricing is based on scoops of protein. I would recommend ordering the double or triple splash (2 or 3 scoops). 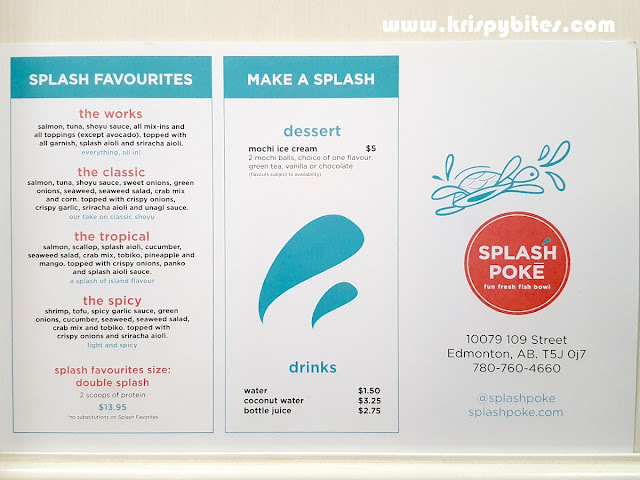 For those who don't want to bother with customizing, there are 4 "Splash Favourites" to choose from. These cost the same as the double splash since they all have 2 scoops of protein each. 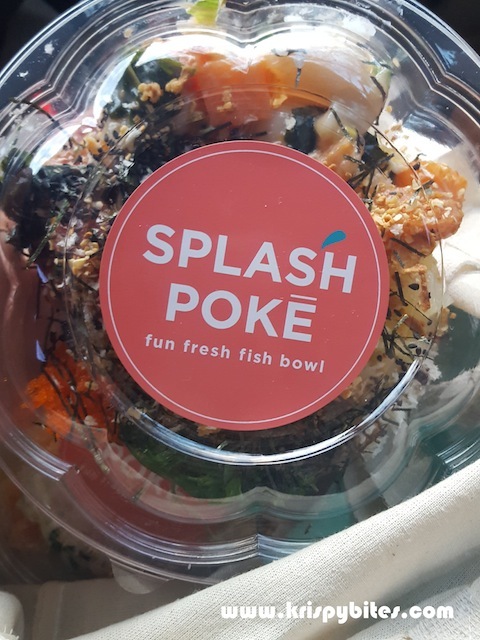 So after an excruciatingly long wait, I finally got my hands on a customized poke bowl. Since there was a 15% discount on opening night, I splurged and got a triple splash with salmon, scallop, and ahi tuna which was an extra $1. But oh my goodness, it was so worth it. The ahi tuna had a much firmer texture than the regular tuna, and a much more distinct flavour as well. The raw seafood was really fresh, and all of those sauces and toppings just brought everything together so well. Call me crazy, but I almost felt like the wait was worth it as I inhaled my bowl in a matter of minutes. One issue I noticed was that the rice and the protein were not apportioned equally among different bowls. The rice was not measured in any way and the staff was just eyeballing it. From what I observed, some bowls had less rice and some had way more. 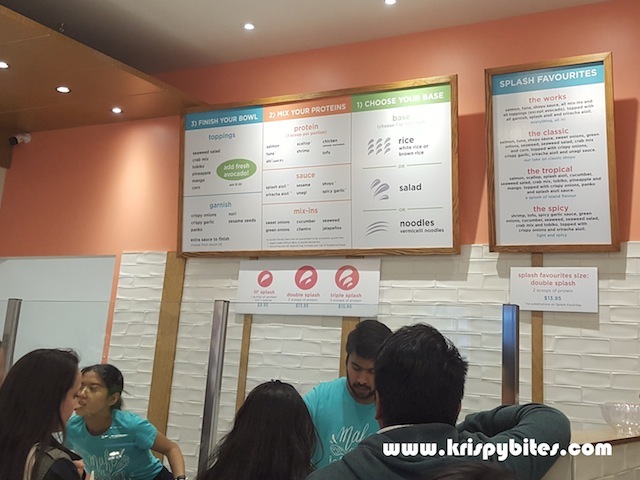 As for the protein, the staff used a scoop to measure, but some scoops were not full and some were more than full. I think this is something that needs to be addressed in the future. 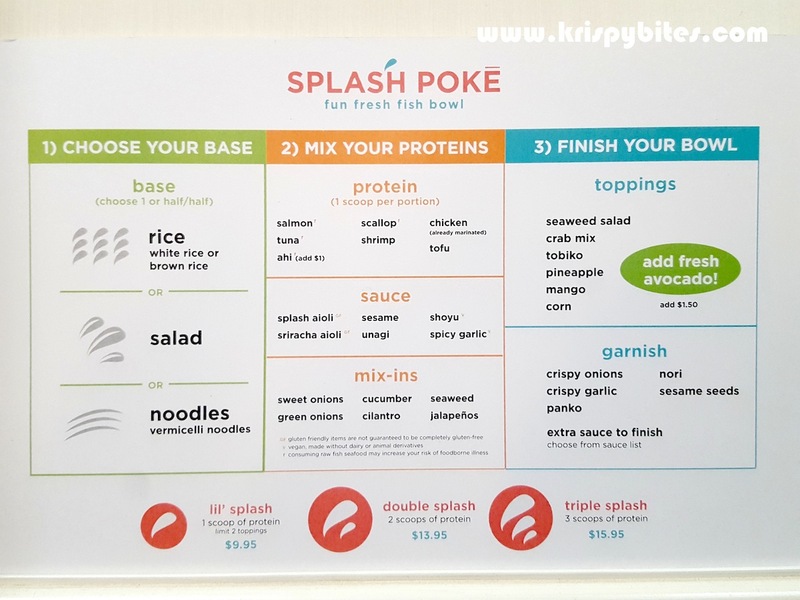 But in any case, Splash Poke is definitely worth trying and I already have a craving for another tasty poke bowl.